Graffiti is the first of hip-hop’s five elements. And this is true for Timebomb as well. Before there was a store, a booming website, an MTV countdown hosted inside, or features in Wiz Khalifa’s and Mac Miller’s video there was rush of the late night bombing mission and the million and one close calls that happen when a crew takes on an entire city with markers and cans for fame. DJ Mr. Owl helps the fans remember these roots with a 77 minute conceptual blockbuster homage to street art and the fearless writers and vandals who make it happen in the trenches nightly. This end to end burner car pulls out of the station and into Timebomb on the 16th of August where fans of the art and the culture can get hard copies and limited edition t-shirts and stickers. Anyone who listens to this tape will have the mental ammo to be a king. If you slack on it then you might just be a toy so make sure you’re there. 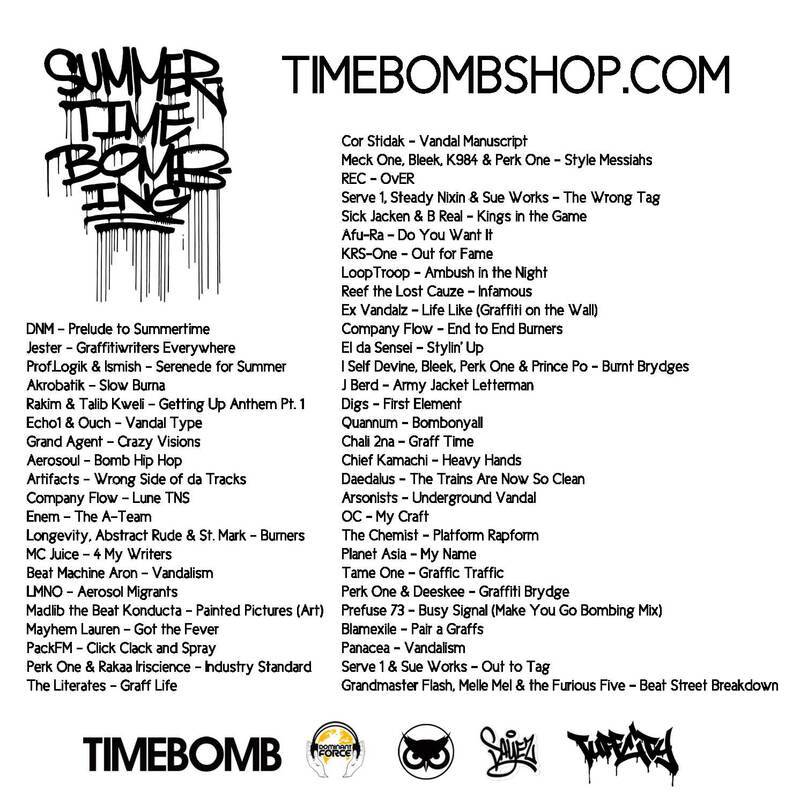 To honor the Mixtape and our roots Timebomb Shop is going to have a Summer Time Bombing Sale all day Thursday Aug 16th so stop by if you’re in the Pittsburgh Area. Mastered by Sayez at ID Labs. Today Dominant Force heavyweight producer SPAED released his much-awaited debut full-length album entitled “ABOVE AND BEYOND”! Featuring monolithic collaborations with underground mainstays Prof.Logik, TheNamesMillen, Kaligraph E, Jack Wilson, DJ Devdan & MR. OWL… this is raw and forward-thinking hip-hop at its very finest, direct from the OG master! Must be heard to be believed. If our owl and this owl over here had babies, I wonder what they’d look like? Rather than get all weird about the fact we share a fondness for owls, we’re here to tell you more about this character, the elusive Mr. Owl, or Chris as I’ve come to know him… Mr. Owl has been makin’ serious moves lately, and as someone who is a personal friend of his, I couldn’t be happier to see him get so much enjoyment out of a passion we both share, music. I had a chance to ask him a few questions about what he’s been up to recently. Time to read up and get to know the fantastic Mr. Owl. Kymbo Slice: So I’ve known you for quite a while and never knew how into music you were/are, though it seems you have really amped up your game and gotten a lot more serious recently. Any reason as to why this is the case? Mr. Owl: I’ve been determined about my career as a musician long since before I met you, but perhaps I haven’t been as vocal about it in the past as I should have been! I’ve done my thing somewhat quietly for years now, putting in work DJing events and producing a ton of original music, but you’re right, lately I have reached a new level of excitement for my craft. I feel that I’ve achieved some important personal milestones, and now I am ready to bring the world in on what I’ve been building. It’s gone from a serious part-time hobby to a full-time addiction. Now most days I rush home from my day job and get straight into making a beat, digging for tunes, spinning new tracks, recording with collaborators, promoting my projects, or studying up on the business. Eventually I realize that it’s 3AM and I drag myself to bed, only to get up 5 hours later and do it all again. My music is what I’m mentally obsessing about anytime I’m not actively creating – or when you’re trying to talk to me and I’m staring off blankly. KS: What inspired you to work with Jack Wilson on your “Consumers Become Producers” mixtape? Any future collaborations with him in the works? OWL: “Consumers Become Producers” was born out of a practice mix that I did the night before my January “Local Beat” show with Spaed, Rivka, and Ag Ag Lady. The recording was then forgotten on my hard drive for weeks while I concentrated on preparing for a heavy battery of shows. I let Jack Wilson hear the instrumental mix and he immediately asked if he could spit some poems over top. I added the initial vocal sample, we began conversing about our ideas on consumption and production, and pretty soon it was clear that this project had the potential to be something much greater than just another mixtape. Jack gathered writings of his own on the subject, as well as work from Brian Francis and William James. I had never heard anyone rhyming over top of my DJ blends before. It’s something really unique musically, it’s poetry, it’s a social message – all wrapped into one neat little auditory experience. The follow-up project will be another mixtape of all underground beats, this time featuring a host of Pittsburgh spoken-word artists. Jack will be organizing the vocalists starting with the Shadow Lounge‘s rolodex of veteran poets, so anyone not already involved who is interested should get in touch with him. I’m soliciting producers worldwide for exclusive unreleased tracks right now, as my intention is for the mix to be the first time the world hears any of these sounds. It will be released by my friends at Grappa Frisbee Records. I’m also of course going to continue to release singles with Jack. We have awesome musical chemistry together, and we’re both inspiring each other to consistently top ourselves with every new project. KS: You were recently booked to play the Urban Garden Party, a very prestigious gig here in Pittsburgh. Thoughts on the occasion? What other gigs have you played that really stick out in your mind? OWL: We are so excited to be involved with the Garden Party 2012! I am on a quest to share my music and ideas with everyone, so I’m always thrilled at the opportunity to play for totally new crowds. I was approached for the gig by someone who works for the Mattress Factory that had seen me spinning previously and had been checking out my mixtapes, so it was an even bigger honor to be asked out of the blue! I will be performing alongside my man DJ Spaed, in conjunction with video artist Casey Hallas who will deliver a custom visual experience to match our sounds. I’ve had a lot of memorable gigs, but the craziest one was definitely spinning for the entire Carnegie-Mellon graduate student body at the PPG Aquarium a few years ago. Spaed and I got shuttled from an entrance gate to the aquarium by golf cart, speeding down the Pittsburgh Zoo’s winding paths of dense foliage in almost total darkness. Playing for nearly 1000 people between the dance floor, balconies and outside terrace was a trip. 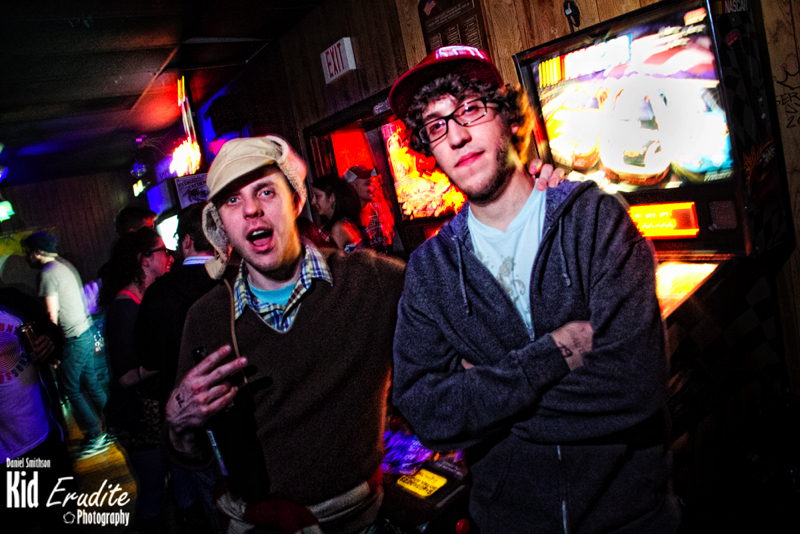 The January 2011 “Get Weird” party, I believe the last one to be hosted at Remedy, will always stick in my mind as the most fun I’ve had interacting with an audience. I spun a set of 80s hip-hop dance jams and the crowd went absolutely BANANAS. The setup at that venue is so intimate, with people dancing practically on top of my equipment, and the spot was packed to the verge of being dangerous. The first time as a DJ that I’ve had cash thrown on my turntables in tribute, blend after blend! KS: Who else are you currently working with and on what types of projects? OWL: I’m ramping up towards the release of my first full-length, a concept album I produced called “Who Killed the Page Wizurd?” for emcee Mr. Jhak from Los Angeles. It’s also the first major project that I’m dropping on my indie label Parliament of Strix Records. Jhak has become one of my very closest friends in the process of working together, and we can’t wait to unleash this beast upon the world. It examines the social corruption of our contemporary existence through the metaphor of Jhak’s doppelganger, and details Jhak’s quest to eliminate him. This is not like any other hip-hop record you’ve ever heard. A video for our track “Arrested Development” is being created by filmmaker Jack MacIlvain, with shooting commencing this weekend in the streets and subways of LA. In addition, I’ve brought Pittsburgh artist Danny Devine on board to represent the plot of the album through a series of comic-style illustrations. 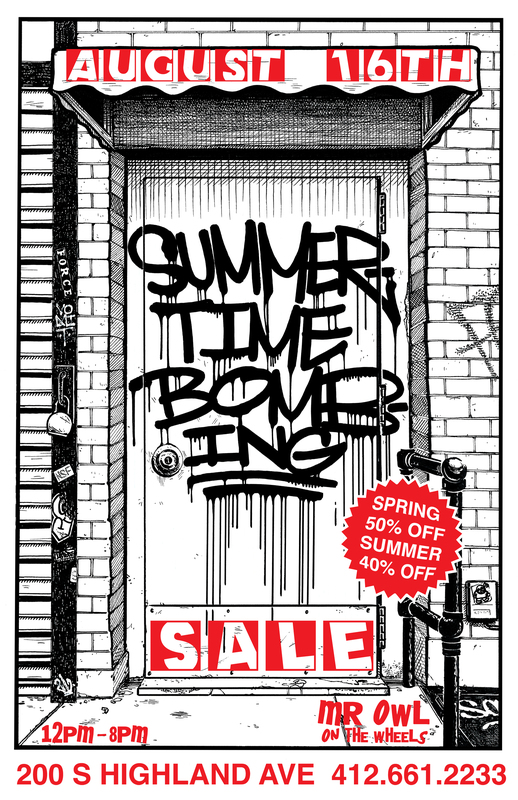 I’m also very excited that Timebomb Clothing has asked me to release an underground hip-hop mixtape to correspond with their quarterly fashion line unveiling each season. This is an opportunity for me to share with a wider audience the futuristic heat that I’m already deeply seeped in. I will be accepting submissions for these mixes from now on as well, so producers and emcees: keep the Owl updated on the realness you’re putting out. 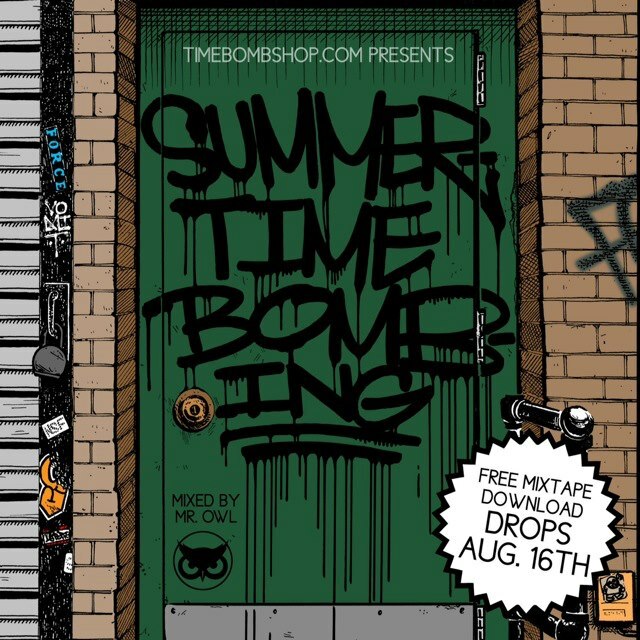 Shoutout to Brick and the whole Timebomb crew! The first of my monthly Pittsburgh Soundcloud meetups is this Wednesday March 14th at the Rocking Horse Artspace, and all are invited. Soundcloud has permanently changed the way I listen to and make music. Building relationships with creative minds from all over the world is inspiring, and having an endless stream of fantastic underground music has allowed me to take my DJing and mixtape craft to the next level. I want to establish a place for musicians to meet in person, share what we’ve learned with each other, and essentially create a real-world extension of this online artist community that has proven so powerful for me. I’m producing a five-track EP with Casey Hallas that will bridge the divide between folk music, hip-hop, and experimental electronica. It’s been terrific to meet regularly with Casey for sessions, and record with live instruments for a change (guitars, upright bass, banjo, etc). Of course everything will get chopped and flipped, but that comes after the traditional recording process. And of course there’s the aforementioned spoken word mixtape followup to “Consumers Become Producers”. That one’s going to be another quantum leap. KS: What are your thoughts on the current hip hop and electronic music scenes here in the PGH and how do you think they’ve evolved since you moved here for college in 2003? OWL: I can honestly say that for my first few years here, I was the typical Pitt student who rarely got out of Oakland much. But since then I’ve explored the rest of this great city and our wonderfully varied music culture. Perhaps it is as a result of me getting deeply involved in the local scenes, but in the last few years I’ve sensed a growing camaraderie among Pittsburgh artists, both within and between genres. 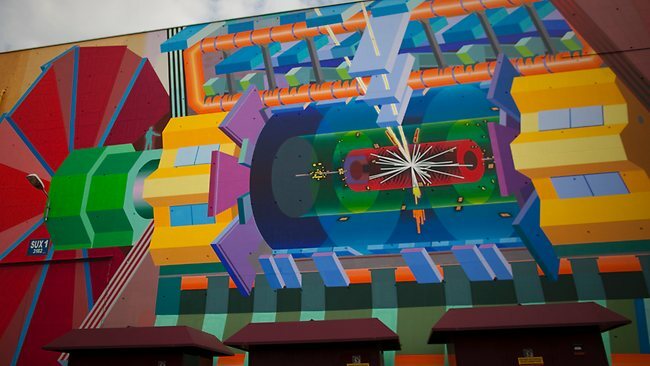 There is a feeling of something exciting building, though I’m not sure that anyone knows precisely what. Since I’ve been here, there have obviously been a handful of homegrown DJs, rappers, and electronic musicians who have risen to international fame, so I think that has shattered the myth that local artists don’t get noticed by the masses. Music scenes are becoming more decentralized, in the sense that anyone from anywhere can make it happen if they are determined to. Also, with cheaper digital technology, more and more people who were previously only listeners are trying their hand at producing or DJing. Hopefully this means that the level of understanding of how much time and energy truly goes into being a quality producer or DJ is rising in the average crowd of listeners. I’ve met so many amazing musicians in these past years and solidified lifelong friendships based on mutual artistic respect. I think that right now, the local electronic and hip-hop scenes both are poised for some sort of revolutionary change, and I’m happy to be deep down in the trenches of both to watch the transformation take place! And there ya have it, a peek into the mind of Mr. Owl. Stay tuned for our exclusive interview with Jack Wilson in the upcoming weeks and be sure to check out one of Mr. Owl’s gigs in in the near future. As paradoxical as it sounds, artists might be the ultimate consumers: sponges on a reconnaissance mission to absorb what they will later wring into the bucket of their chosen craft – the resulting alchemy thus becoming the artist’s own creation. 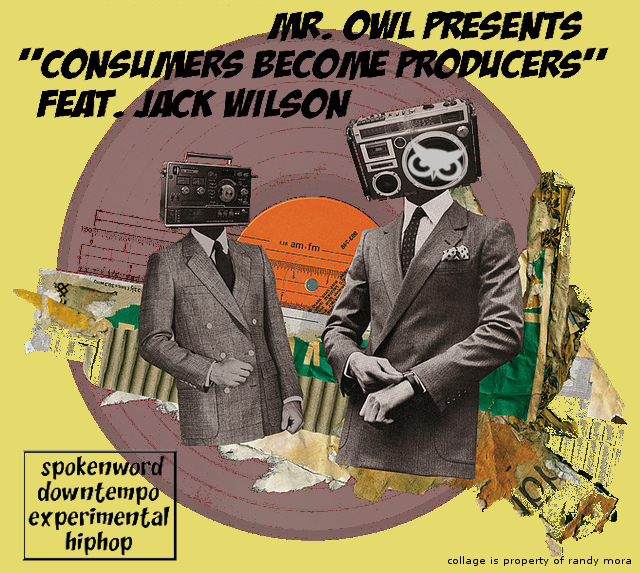 On “Consumers Become Producers”, Pittsburgh’s Mr. Owl has soaked up and seamlessly blended some of today’s most cutting-edge independent music into which poet/MC Jack Wilson regurgitates his own slop of socially-conscious wit and sharp hip-hop influenced wordplay to produce a groundbreaking mix of everything Owl and Wilson represent as creative consumers. Digest accordingly. RIVKA’s summertime vibes will warm up your frigid snowpocalyptic winter. Whether it’s ice, zombies, or financial crises that plague us in 2012, we’re pretty confident that RIVKA’s chill waves will glo-fi some life back into ya. DOMINANT FORCE is MR. OWL & DJ SPAED, blending classic & underground hip-hop, dub & roots reggae, soul, funk, motown, breaks, experimental electronica & drum-n-bass with original productions and an ear to the underground. Conscious downtempo flavor for ya ear.